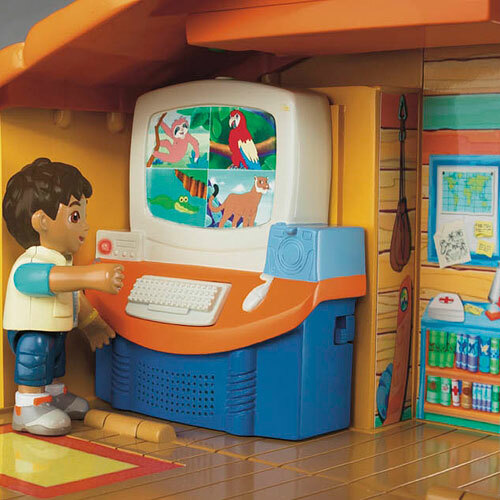 My Family Fun - Go Diego Go Talking Rescue Center by Fisher-Price! The best toys! by Fisher-Price! The best toys! 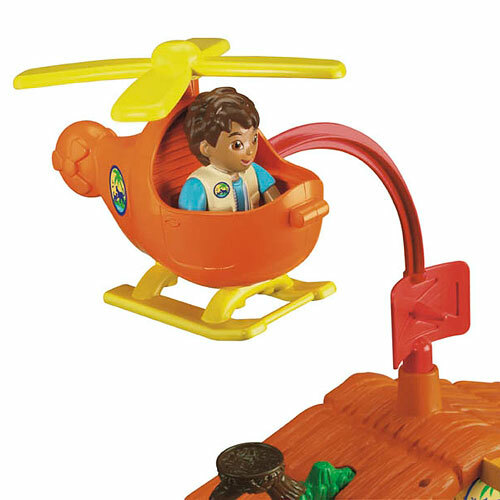 Your child can glide into action and go on animal rescue missions with Diego and his animal friends with this playset version of the Talking Rescue Center, as seen on the show! 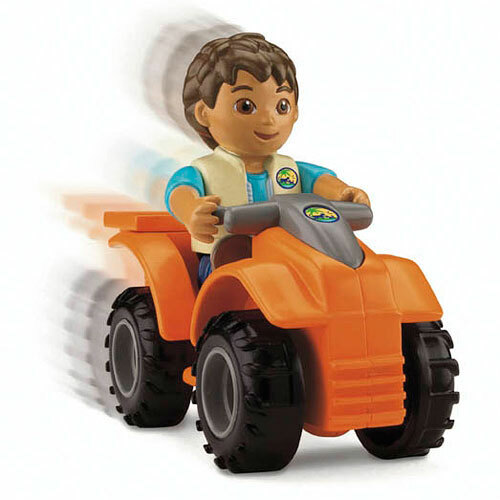 Includes 3.5 inch articulated Diego figure, 5 animals, an all-terrain vehicle ATV, and helicopter with rescue basket. The observation deck includes Diego's rescue computer command central with 1 LED that flashes to indicate there is a rescue mission to take place. 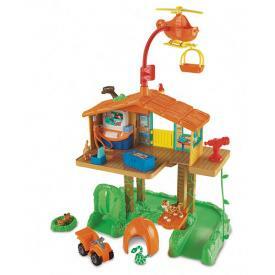 Diego and animals can ride the working rescue elevator and fly in the copter by pulling on the tree lever. Slide Diego down the vines and zip-cord to reach the animals. Includes lots of animal care and nurturing accessories, and even plays the "Go, Diego, Go" song!